I’m packing to leave for San Francisco, where I’ll join many of the product journalists that I mention from time to time. I’ll get the chance to catch up with my friends, and to learn a great deal about the hottest new CAD/CAE products around. While I’m in San Francisco, I’ll be taking pictures of the city, and hopefully the awesome Autodesk Gallery. Once the product events begin, we’ll all be tweeting, snapping pictures, and blogging about anything and everything of interest. I guarantee, I’ll get every bit of info related to Autodesk Inventor, Simulation, and Vault that I can drag out of there, as well as coverage of PLM 360, AutoCAD Mechanical, Electrical, and Civil 3D. 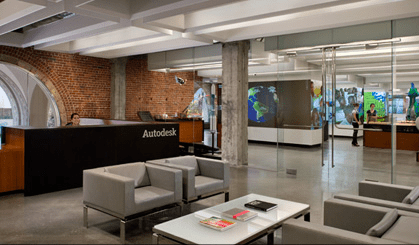 Autodesk will also be hosting a special media webcast with CEO Carl Bass and Senior Vice President Amar Hanspal. Be sure to check it out on Tuesday, March 27 at 9 a.m. Pacific. You can watch it live on Facebook. A Story of Implementation – Where Do I Fit in this Complex ERP World? SpaceClaim | Got Sheet Metal?